You’d never know by the energy and buzz at this week’s Project/Mrket in NYC that the world is falling apart. Thanks to our ever-optimistic retailers and manufacturers for keeping it upbeat, for creating and selling such beautiful men’s fashion, and for increasing the focus on sustainability to do our small part in making a better world. Here, a few brands you should know about. 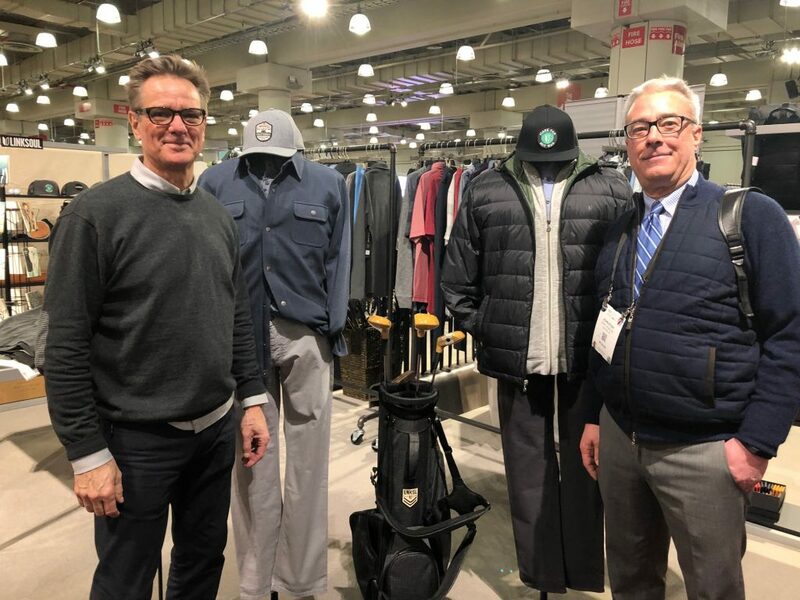 LinkSoul: This three-year-old brand that started by selling golf resorts is now reaching out to independent specialty stores. The concept is sophisticated cotton-based items that take you from the course to the club, says Mark Jensen. It’s a full collection from knit tops and outerwear to bottoms, bags and hats at suggested retails from $70 to $195. We especially liked the hybrid swim/shorts, the quilted down vest, the popover zipfront hoodie and anything in their Innosoft cotton fabric. 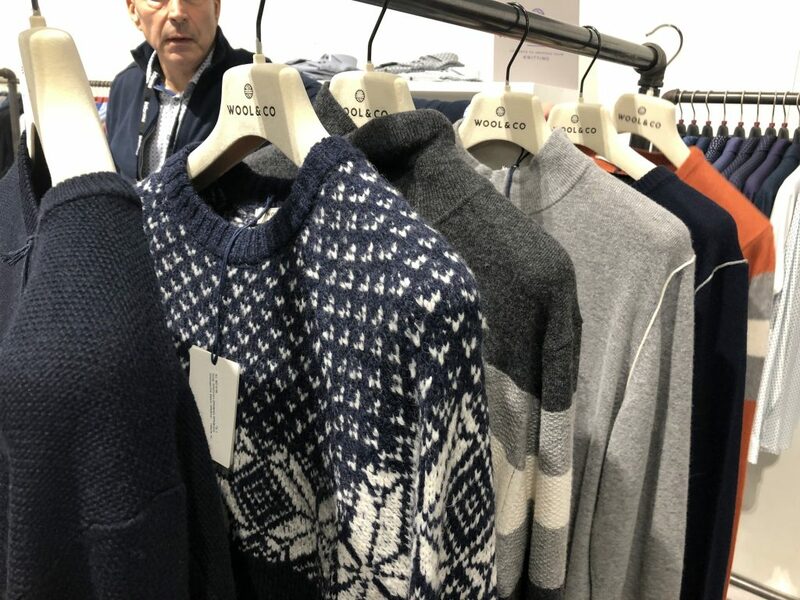 Wool & Co out of Italy (at Gary Williams showroom) showed some gorgeous sweaters at surprisingly affordable pricepoints. 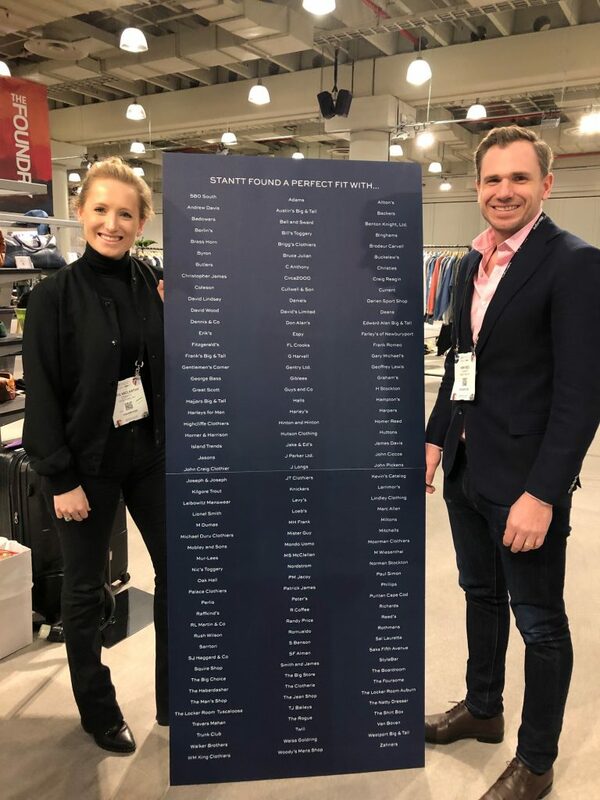 We loved the wool/cashmere blends at $175-$245 suggested retails, the classic yarn-dye merinos in 12 or 14 gauge and some contemporary designs that are great for U.S. retailers trying to go young (but please size up, suggests Jeff Lowenstein). Patrick Assaraf offered an extensive collection of beautiful fashion in all-Italian yarns. The collection ranges from elevated classics (a strong black and white story) to knit sportcoats and sweater yarn blazers to active tees ($65-$95 retails) to streetwear-inspired fleece-lined nylon jackets ($395-$495) to double-faced wool-cashmere coats ($795). An exceptional grouping of ‘cold-dye’ knits has a vintage high-low effect with no two alike. 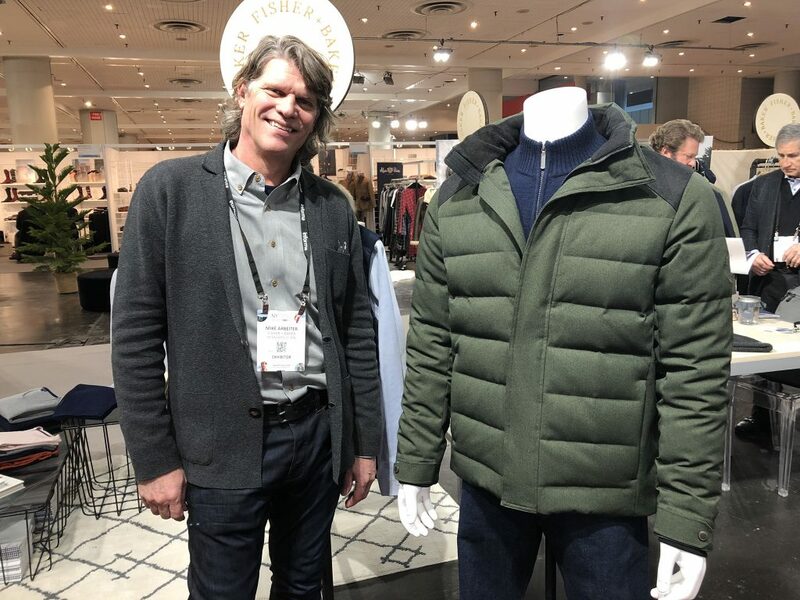 Fisher & Baker: Mike Arbeiter has made major strides selling outerwear to premium men’s and outdoor stores. 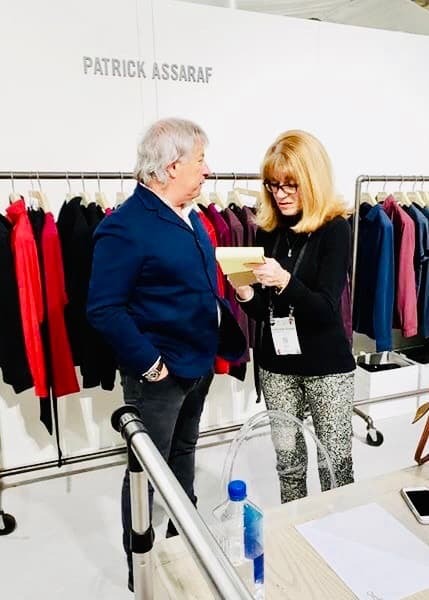 His secrets: taking the product beyond fashion to a highly functional level and investing in training sales associates on retail selling floors. “Retailers should stop complaining about online competition and invest in their sellers,” he maintains. His accounts include Rothman’s and MartinPatrick3; key looks include multi-pocket parkas, the hooded Chelsea trench (or commuter coat; $548 retail) and a great water-resistant quilted CPO jacket. 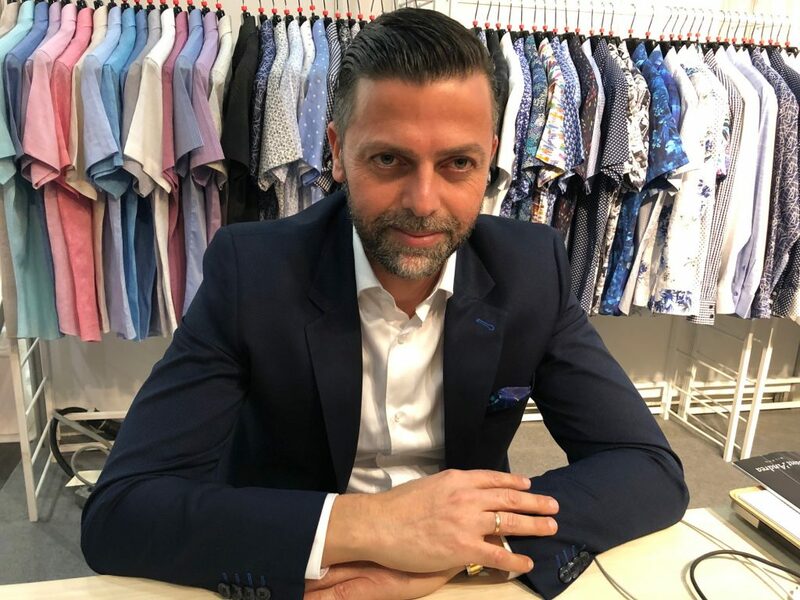 Bertigo: Founded 10 years ago by Yaniv Bitton, once a professional soccer player in Israel, the collection includes shirts, blazers, swimwear, polos, and accessories, most in Italian fabrics. Prices are moderate: shirts @ $129-$159 retails (80 percent are exclusive fabrics), blazers are $279, swimwear @$89. Check it out in Vegas and Chicago! 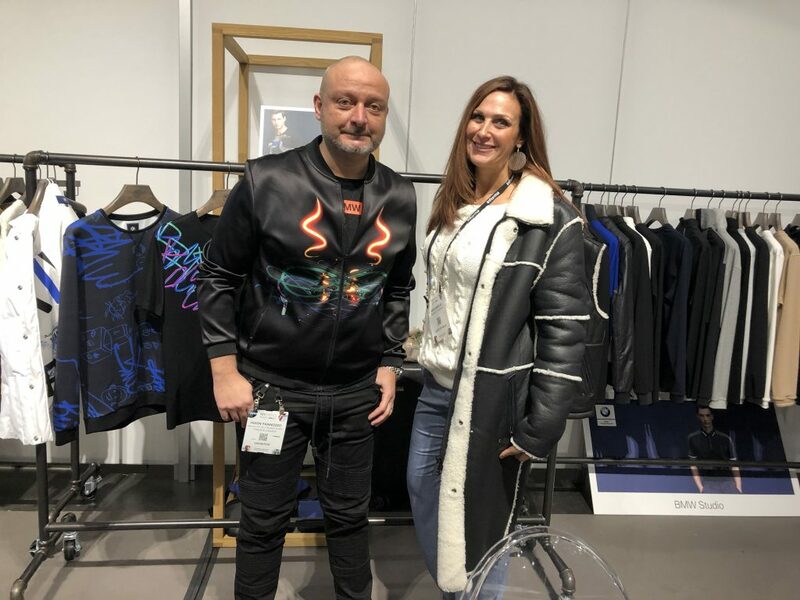 Aston Leather: Greg Provenzano offers an exciting outerwear option for fall ‘19: custom-made shearlings! 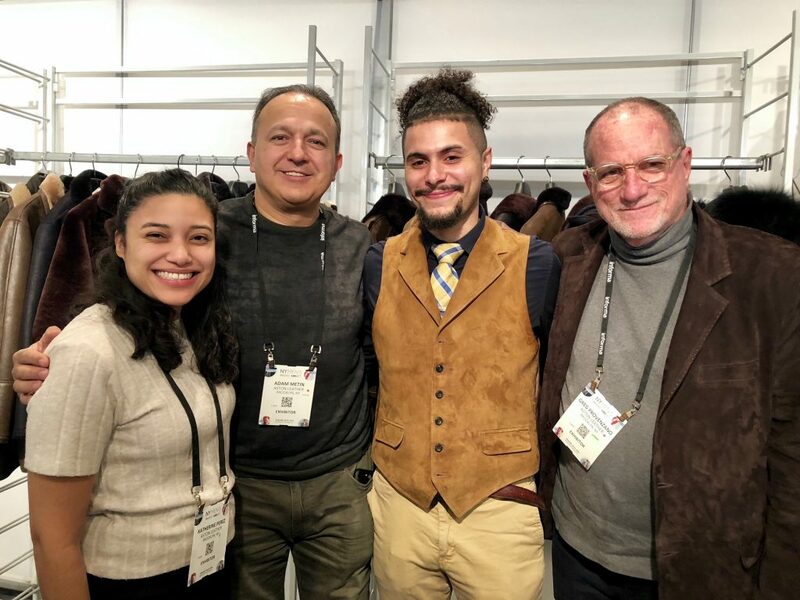 Already in 16 better menswear stores, it works like this: Aston trains your sales staff to take 4-5 measurements for a choice of five different shearling and goat suede coat models (bomber, blazer, full-length, etc. ; wholesale prices range from $335-$900). Aston ships you sample garments in sizes 40-48 with alternate swatches for each model; the finished coat is shipped in a week from their boutique factory in Sunset Park. Satisfaction guaranteed and samples can be returned end season. For more info: gregp@astonleather.com. Nikki/Cardinal of Canada: A modern take on tailored with some beautiful suit separates at Nikki in super 150s fabrics, fabulous patterned sportcoats and very cool jogger type bottoms in suiting fabrics (for wool flannel: $75 cost for $149 suggested retail). 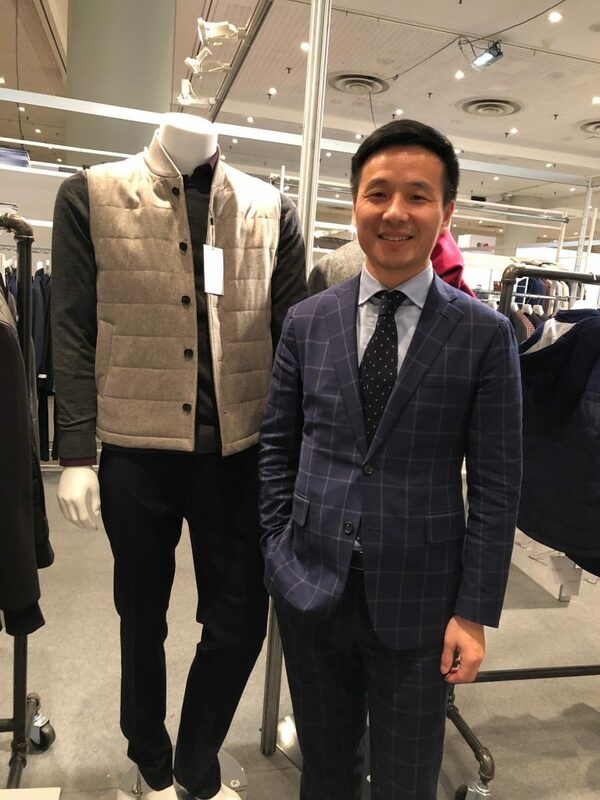 Rocky Zhou also showed terrific outerwear by Cardinal of Canada, including a perfect quilted wool jacket, a trench with zip-out lining, and a gorgeous double-faced cashmere topcoat. Other double-faced soft shoulder wool classics retail for $495. BMW: Sophisticated street-inspired sportswear retailing from $165-$325. 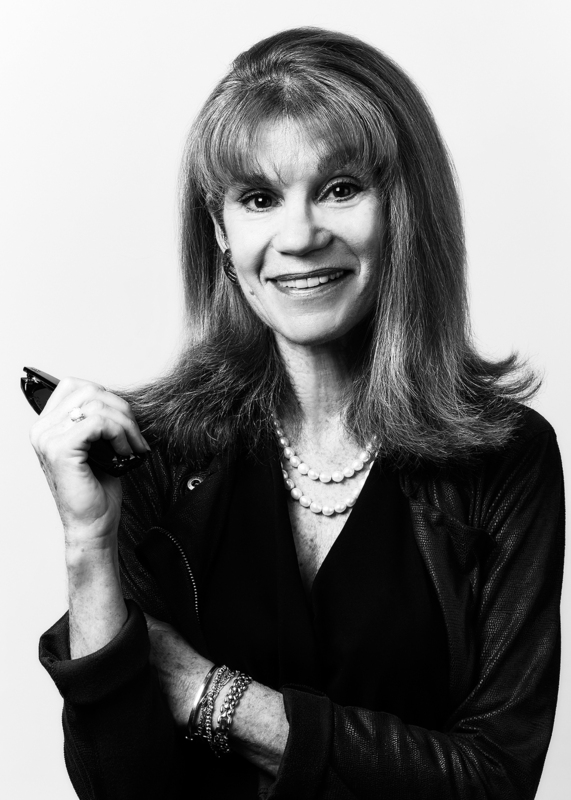 “There are few brands than can bring stores a whole new audience,” points out Jason Pannozzo. Our favorite item: a gorgeous shearling at $2900 retail, modeled here by MR’s Shae Marcus. Note: BMW fashion is not sold in dealerships. Stantt: Now in 300 doors, 350 by year’s end, Stantt has taken the shirt industry by storm with its revolutionary custom program. Yes, they now sell Nordstrom but Kirk Keel explains that they go out of their way for their specialty store accounts, supplying signage, window material, hang tags, private label and doing Instagram and email marketing for the stores (“they just send us their logo and we do the work”). 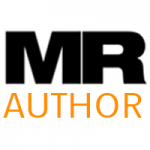 The Stantt website also books customer appointments at the closest specialty store. Coming this fall: custom-made trousers, from dress pants to denim! 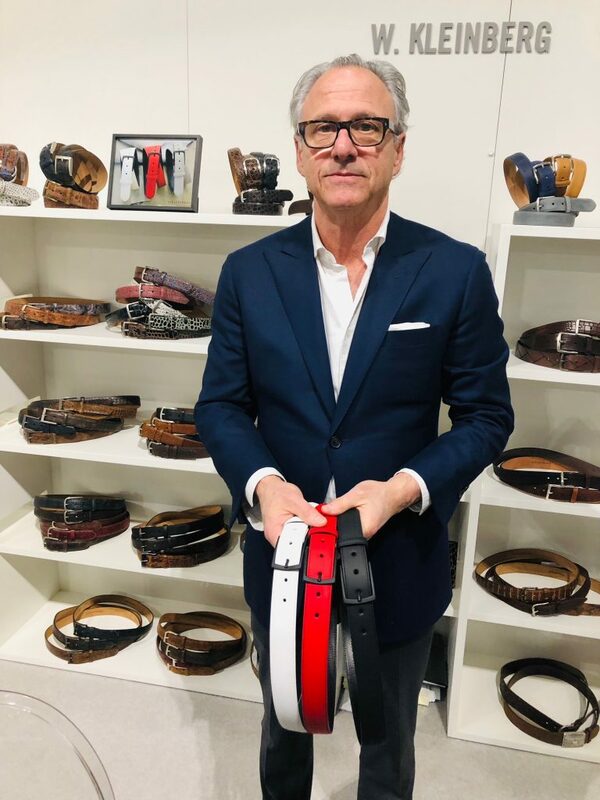 W. Kleinberg: In addition to their extensive collection of gorgeous belts, Kleinberg introduces Techno-Comfort, innovative belts made from rubberized leather with soft calfskin backing that stretches with the body’s natural movement. Optional stretch technology affords an extra ¾ inch of give. Something new and exciting to sell, available with or without the extra stretch, $78 and $68 wholesale. 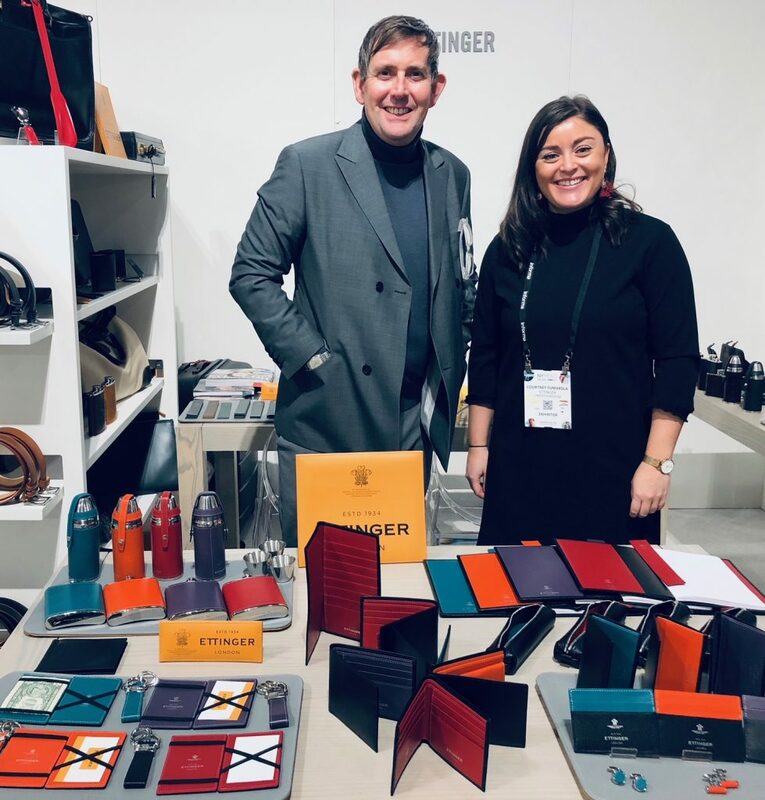 Ettinger: Simply said, the most beautiful, colorful and most extensive collection of buttery soft small leathergoods we’ve seen! 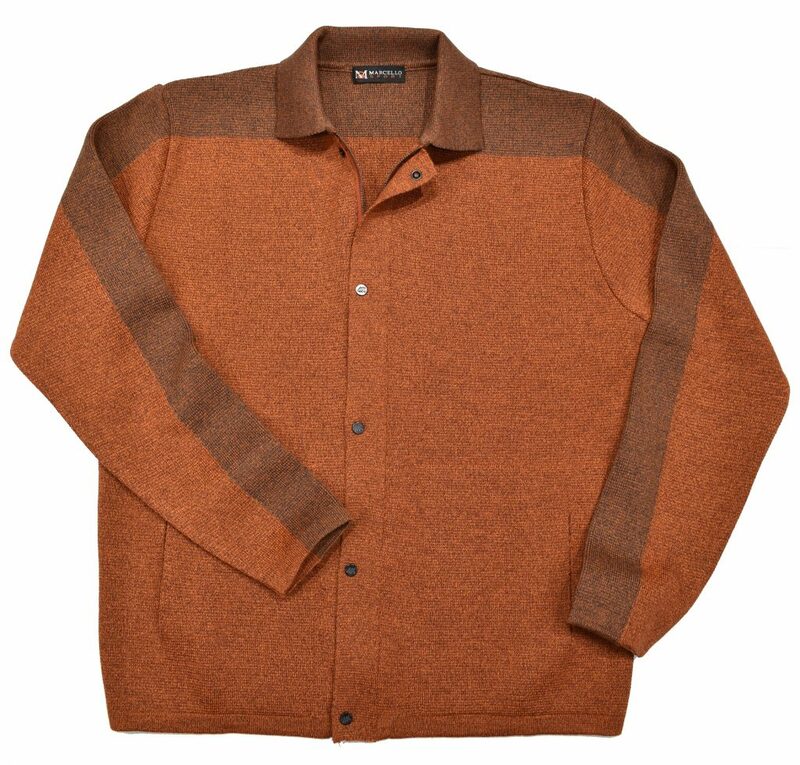 Marcello Sport: New this season, Mike and Darren Apel showed 80/20 pima cotton/microfiber blend shirts in beautiful modern prints ($48 cost for a suggested retail of $145), merino knit jackets with laser-cut pockets ($135-$145 wholesale), and numerous clean sophisticated sweaters. All told, a well-priced and salable collection! Karen you always pick the best thank you ~!~!!!!!!! !